CSN Stores - One Stop Shopping Give Away! If we were more handy, we could do most of it ourselves...and I know just where I'd go for most, if not all, of the things for our new bathroom! CSNStores.com offers everything from bathroom shelving and bath towels, to vanity lights and vanity tops! Have you been to any of the over 200+ stores at CSNStores.com? 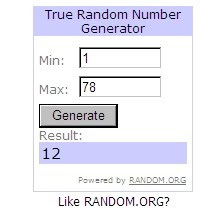 A winner will be chosen via random.org on Wednesday, December 1st. Good Luck! Winner Winner - Just in time for Turkey Dinner! Turns out it pays to follow Gust Gab on Facebook! I will be in touch to find out which name you want your four tickets under at Will Call for Opening Night of Mickey and Minnie's Magical Journey on December 9th! Simply use the code FRIEND to save a few bucks off of the ticket price! Ticket prices range from $65 for VIP to just $10! I have an extra Family Four Pack of Tickets to give away! WOOT!! How can you win these?? What is the *right* age to take kids to Walt Disney World - or isn't there one? 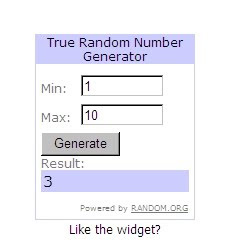 Winner to be selected on Wednesday, December 1st, 2010. PS - While you are there, you just might see another local Feld Family Activator with a link to HER Disney on Ice give aways...Come on over!! Who can't use a Helping Hand? According to Feeding America, approximately 5.7 million different people receive emergency food assistance from the organization in any given week. To raise awareness about the national issue of hunger, Hamburger Helper® is partnering with GRAMMY® Award-winning singer, songwriter and actor Tim McGraw to help Feeding America deliver millions of meals to local food banks through the Show Your Helping HandTM campaign. McGraw will lend his voice to the campaign through a Public Service Announcement which can be viewed right here! 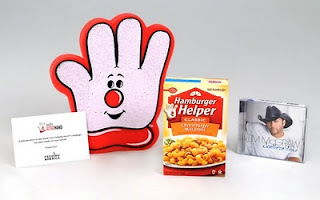 You can support the worthy campaign by submitting codes from specially marked boxes of Hamburger Helper at http://www.showyourhelpinghand.com/ or by logging on to make a donation. Hamburger Helper has already donated more than half a million dollars and will contribute up to an additional $100,000 to Feeding America through this program. Don´t think one code will make a difference? The 17 cents Hamburger Helper donates per code is enough for Feeding America to deliver one meal to a local food bank. You can also win an autographed copy of Tim McGraw´s "Southern Voice" CD by visiting http://www.showyourhelpinghand.com/. Thanks to the fine folks at Hamburger Helper & MyBlogSpark, I have a prize pack that includes a box of Hamburger Helper skillet meals, a Hamburger Helper foam "Helping Hand" and a copy of Tim McGraw´s "Southern Voice" CD. In addition, Hamburger Helper will make a $10 donation to the Show Your Helping HandTM campaign on your behalf!!! Would you like to win this prize pack? Simply leave a comment here and be entered to win! **Follow Gust Gab - whether you are new or have been here awhile - leave a comment! 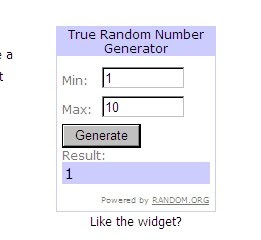 One random winner will be chosen via random.org on Monday, November 29th! Thanks for stopping by - Together, we can make a difference! I had SUCH a hard time narrowing down what to use for our family Christmas Cards this year! and then, how do you select just the right design? *** A huge THANK YOU to Shutterfly for offering my family 50 complimentary Christmas Cards for participating in their Blogger Promotion for 2010! Everyone is invited to stop by their local Subway for FREE PIT PASSES to get up close and personal with the Monster Trucks and their drivers during the afternoon on the 13th - If you don't get the pit pass - it will cost you $7 to get in! 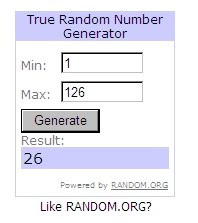 If I do not hear from you in 48 hours, I will have to select a new winner!! *** And CSNStores.com for the gift certificate good at any of their 200+ online stores!